Flying Lessons: Hot or not? Iceland style. Hot or not? Iceland style. The end of summer draws near. Temperatures fall and the dust settles around Iceland’s Eyjafjallajökull volcano. Far away from the white hot glare of the media, Iceland’s president is demonstrating a flying lesson; every event provides an opportunity to learn. Ólafur Ragnar Grímsson has invited geologists, pilots, regulators, airline executives and yes, even the press, to come to Iceland in September to review what happened in April when Eyjafjallajökull volcano issued the belch heard round the world. To recap - since something that happened four months ago can seem practically pre-historic - from April 15-23, while Eyjafjallajökull was happily spewing its abrasive ash directly into the North Atlantic jet stream, 300 European airports shut down causing airlines to cancel thousands of flights stranding 7 million passengers. SAS Airlines claims to have lost $68 million, British Airways, $250 million. 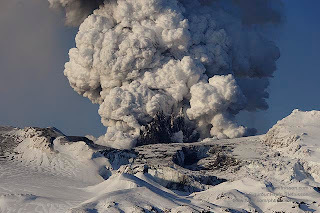 "What's interesting is the fact that the eruption was not considered to be a major eruption," Thorgeir Palsson, former director of civil aviation in Iceland told me in a phone conversation this morning. "It had an impact beyond proportion. People knew an eruption that could cause difficulties and would take re-routing, but that it would close down the entire airspace, that no one had expected." “There are some 52 active volcanoes in Alaska, and there are one to two eruptions in average per year,” Jón Hjaltalín Magnússon reminded me in an email. Magnusson is with Kelir Aviation Academy, which organized the conference and the engineer was explaining why Hendricks as well as representatives from Alaska Airlines, NASA the FAA, ICAO and IATA and the U.S. Geological Survey were asked to come and offer their advice about whether U.S. procedures should be applied elsewhere. So next month, these disputes will get vented once again. Were the authorities overly aggressive in restricting flights? Are there ways to safely navigate around volcanic eruptions? Who should decide when it is safe to fly and when it is not, airlines or aviation regulators? Is there value in what Dr. Palsson and others are calling the "American approach"? 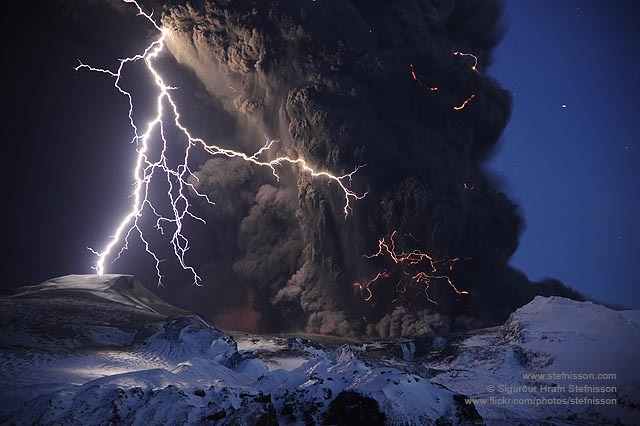 Safely protected by time if not by distance from the now-spent fury of the volcano, representatives from the whole alphabet soup of aviation organizations - a diverse crowd - will descend on Iceland to dissect what happened, with a few clocks ticking. The European Commission is working to solidify its position on the matter in time for the International Civil Aviation Organization's assembly at the end of the month. And while bureacuracies like those can move with glacial speed, Dr. Palsson reminds me Eyjafjallajökull has a sister who could blow her top at any time. Things could get very hot.